Intensify is a stackable constant current laser diode bar driver delivering up to 150A CW current. Unique parallel capability allows stacking multiple Intensify boards to scal up the power. Intensify is ideal for OEM applications such as fiber laser pumping and laser tooling. IONI is a digital motor drive designed for driving AC/BLDC and DC servo motors and steppers. IONI allows controlling motors in all three operating modes: position control, velocity control and torque control (torque mode only with servo motors). 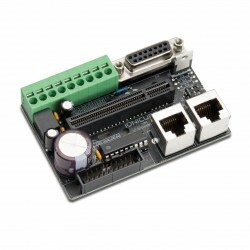 IONICUBE 1X WIDE is a single axis motherboard for IONI Servo Drives. IONICUBE 1X WIDE provide one slot for IONI drive as well as terminals and connectors for motor power, feedback devices, I/O and SimpleMotion V2. 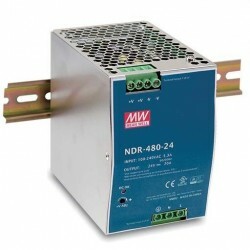 The difference between standard and WIDE version is that WIDE version supports wide logic voltage supply range of 9 to 50 VDC while standard version supports only 9-24 VDC. 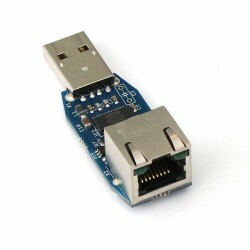 This helps to elimianate second power supply from the system. Spin series AC servo motors exhibit low inertia and high power density. 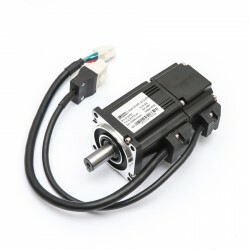 Motor comes with 2 500 PPR (10 000 counts/rev) encoder and configuration file template for IONI servo drive saving from the hassle and chance of error. 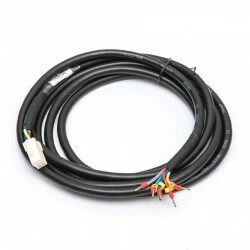 Notice: Motor extension cables are not included in this product, please order motor cable set according to your desired length.